Impressions of a Reader...: Summer Releases: UF/PNR/SCI-FI/LGBT & More! 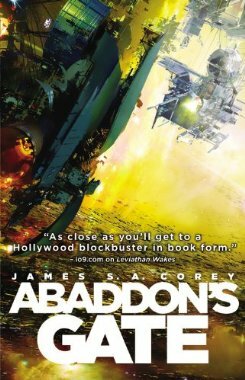 Summer Releases: UF/PNR/SCI-FI/LGBT & More! There are SO many books I'm looking forward to reading this summer! Here are just a few of the books I can't wait to get my hands on! I mean look at that list of books, authors/editor: Singh's latest Psy/Changeling novel which has everyone on pins and needles; the last book of Corey's thrilling Expanse trilogy; a couple of Berman's excellent anthologies (I'm highlighting one below, but I am also reading Best Gay Stories 2013, releasing June 1, 2013); Gaiman's Fairy Tale; Hart's latest addition to her contemporary fiction works; the last (?) 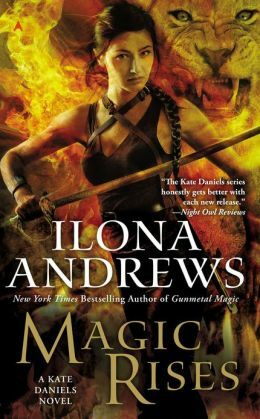 book of the Kate Daniels series by the Andrews writing team (booo); the last (?) book of the Guardian Series by Brook (another booo); and the first book of a new series by Armstrong (yes! ), plus a debut (magic realism) novel by a new author. I can't wait! From "the alpha author of paranormal romance" (Booklist) comes the most highly anticipated novel of her career--one that blurs the line between madness and genius, between subjugation and liberation, between the living and the dead. For generations, the solar system — Mars, the Moon, the Asteroid Belt — was humanity's great frontier. Until now. The alien artifact working through its program under the clouds of Venus has appeared in Uranus's orbit, where it has built a massive gate that leads to a starless dark. Jim Holden and the crew of the Rocinante are part of a vast flotilla of scientific and military ships going out to examine the artifact. But behind the scenes, a complex plot is unfolding, with the destruction of Holden at its core. As the emissaries of the human race try to find whether the gate is an opportunity or a threat, the greatest danger is the one they brought with them. The Laguna women suffer from an odd affliction: each generation is condemned to tragic love affairs and to give birth only to girls who are unable to escape the cruel fate of their mothers. One fateful hunting season in their small Castilian town, a young landowner arrives and begins a passionate affair with Clara Laguna, the latest in the family line, daughter of a one-eyed woman known as “the Laguna witch.” He leaves her pregnant with yet another daughter, but the seeds of change are sown. Eventually the long-awaited son—Santiago, the great-great grandson of Clara—is born. A window of hope is opened, but is the curse truly over? 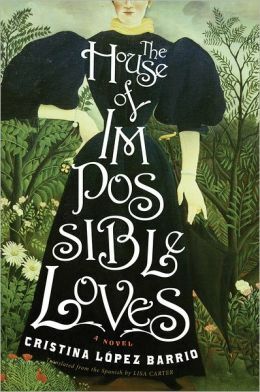 Introducing a cast of memorable, eccentric characters from a bearded, mute female cook to the local do-gooding priest and the indelible Laguna women themselves, The House of Impossible Loves is a feat of imaginative storytelling that marks the arrival of a talented new novelist. The solid latest volume in this annual collection of gay speculative fiction includes a dozen stories from 2012, chosen by editor and publisher Berman (Boys of Summer) from various sources. While the only criterion is that each story must have a gay character or theme, a seductive undercurrent involving the sea or water symbolically connects many of the stories. Quality and satisfaction vary, with a few true standouts. Alex Jeffers’s “Tattooed Love Boys” is a powerful, provocative look at fluid sexuality and gender identification, while Vincent Kovar’s “Wave Boys” conjures up a captivatingly strange, futuristic society populated by tribes of semi-feral young men, like so many ocean-dwelling Lost Boys. L Lark’s “Breakwater in the Summer Dark” has a haunting coming-of-age quality, set against the backdrop of a summer camp plagued by sea monsters, and Rahul Kanakia’s “Next Door” is a surprisingly optimistic dystopian piece. With many genres, tones, and styles represented, there’s a little something for everyone. A middle-aged man returns to his childhood home and is drawn to the farm at the end of the road where, when he was seven, he encountered a most remarkable girl and her mother and grandmother. As he sits by the pond ­behind the ramshackle old house, the unremembered past comes flooding back—a past too strange, too frightening, too dangerous to have happened to anyone, let alone a small boy. 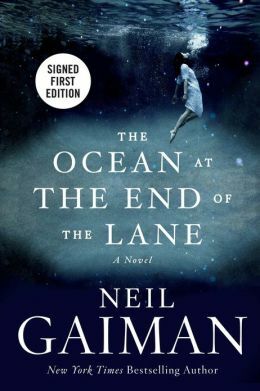 A groundbreaking work as delicate as a butterfly's wing and as menacing as a knife in the dark, The Ocean at the End of the Lane is told with a rare understanding of all that makes us human, and shows the power of stories to reveal and shelter us from the darkness inside and out. With characteristic compassion and searing honesty, MEGAN HART weaves a shattering small-town story about what can turn brother against brother, and the kinds of secrets that cannot remain untold. Janelle Decker has happy childhood memories of her grandma's house, and even lived there through high school. Now she's back with her twelve-year-old son to look after her ailing Nan, and hardly anything seems to have changed, not even the Tierney boys next door. Gabriel Tierney, local bad boy. The twins, Michael and Andrew. After everything that happened between the four of them, Janelle is shocked that Gabe still lives in St. Mary's. And he isn't trying very hard to convince Janelle he's changed from the moody teenage boy she once knew. If anything, he seems bent on making sure she has no intentions of rekindling their past. the day a devastating accident tore the Tierney brothers apart and drove Janelle away. But there are things that even Janelle doesn't know, and as she and Gabe revisit their interrupted romance, she begins to uncover the truth denied to her when she ran away all those years ago. Mercenary Kate Daniels and her mate, Curran, the Beast Lord, are struggling to solve a heartbreaking crisis. Unable to control their beasts, many of the Pack’s shape-shifting children fail to survive to adulthood. While there is a medicine that can help, the secret to its making is closely guarded by the European packs, and there’s little available in Atlanta. Kate can’t bear to watch innocents suffer, but the solution she and Curran have found threatens to be even more painful. The European shape-shifters who once outmaneuvered the Beast Lord have asked him to arbitrate a dispute—and they’ll pay him in medicine. With the young people’s survival and the Pack’s future at stake, Kate and Curran know they must accept the offer—but they have little doubt that they’re heading straight into a trap. or it might destroy them both with a single touch. 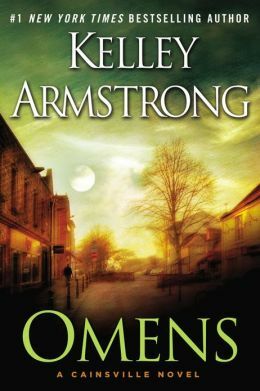 #1 New York Times bestselling author Kelley Armstrong begins her new series with Omens, featuring a compelling new heroine thrust into a decades-old murder case and the dark mysteries surrounding her strange new home. Twenty-four-year-old Olivia Taylor Jones has the perfect life. The only daughter of a wealthy, prominent Chicago family, she has an Ivy League education, pursues volunteerism and philanthropy, and is engaged to a handsome young tech firm CEO with political ambitions. But Olivia’s world is shattered when she learns that she’s adopted. Her real parents? Todd and Pamela Larsen, notorious serial killers serving a life sentence. When the news brings a maelstrom of unwanted publicity to her adopted family and fiancé, Olivia decides to find out the truth about the Larsens. Olivia ends up in the small town of Cainsville, Illinois, an old and cloistered community that takes a particular interest in both Olivia and her efforts to uncover her birth parents’ past. *NOTE: Books read, upcoming reviews. I'm scheduled to go on vacation this upcoming Sunday for a little over a week. I'm taking books with me this time around and will be reading just so I can make room for all the books I want to read in June! How about you? Do you have a long list of books you want to read this summer? Hey Hils!! Happy holidays!! Where are you going? Just enjoy yourself wherever you go and relax! You totally deserve it! I have very similar books to you, obviously LOL. In addition, I also want the next Jennifer Estep book coming out in August. There's a YA book, the contemporary Kasie West. The new Sarah Dessen as well, been a while since she had a release. Oh and Laura Florand has another release in July, so happy she's writing more regularly! Oh and Kay Hooper has a new one coming out this summer. Booyah, this summer looks good suddenly LOL! Ahhhh!!! I can't wait for Heart of Obsidian...I'm both excited and nervous! It goes without saying that expectations are sky high. I am also beyond thrilled that Nalini's US book tour is making a stop in Seattle next month. Yay! Magic Rises is another highly anticipated book for me. I believe the Andrews just announced that the Kate series has been extended to nine books. 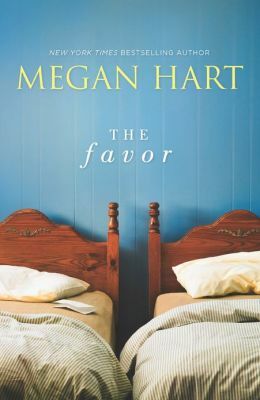 The Favor (and Tear You Apart - Aug release) by Megan Hart has been on my radar too. I know The Favor for sure is a mainstream fiction title from her so I'm really looking forward to your review of it. 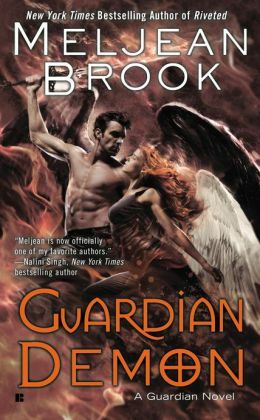 ;) I haven't read all the books in Meljean Brook's Guardian series. Looks like I need to catch up before Guardian Demon releases this August. Oh my goodness so many amazing summer releases. How exciting! Hey Negine! OMG! 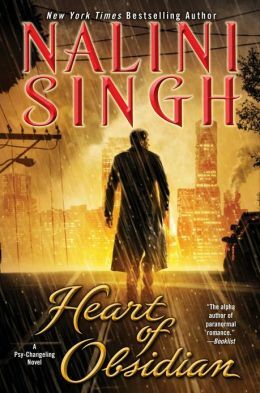 Hearts of Obsidian is one of my most anticipated books of the year too. You are going to meet Nalini? Mariana and I are planning to go see her when she stops in NYC on June 6th! I'm excited to see her again, and to hear the discussion on this book. I'll have to read it ASAP before getting the book signed! LOL! And re: Kate Daniels. That's the reason I have those ? marks up there. I know those series get extended all the time, soooo, I'm a bit excited about that news! I don't think Brook's Guardian series is getting extended, though. Yes, Mariana and I went to the Kiss of Snow signing together when she came to New York. The discussion was wonderful at the time. You're going to love it! She is such a great lady. PS: Had a great time away! Impressions of a Reader is 4 years-old! Cover Highlight: Clarkesworld's "Desert Dragon"